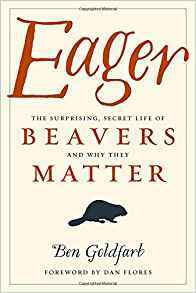 Beth talks with author Ben Goldfarb about his new book, amusingly titled Eager: The Surprising, Secret Life of Beavers and Why They Matter. You’ll gain a better understanding of beavers’ myriad skills, and want to restore beaver populations in our local environments. Spoiler alert, we’ll have copies of his book available during the pledge drive show on Oct. 16.